Custom URLs are used with Deadline Funnel Email Links and Animated Email Countdowns. You can choose from one of the default custom URLs included with Deadline Funnel or create a custom URL using one of your own sub-domains. In order for the custom URL to work (e.g., http://demo.allegraloves.com), you will need to set up the CNAME for your sub-domain in your DNS manager, with the CNAME pointing to deadlinefunnel.com. Watch the video for step-by-step instructions for creating and pointing the CNAME. 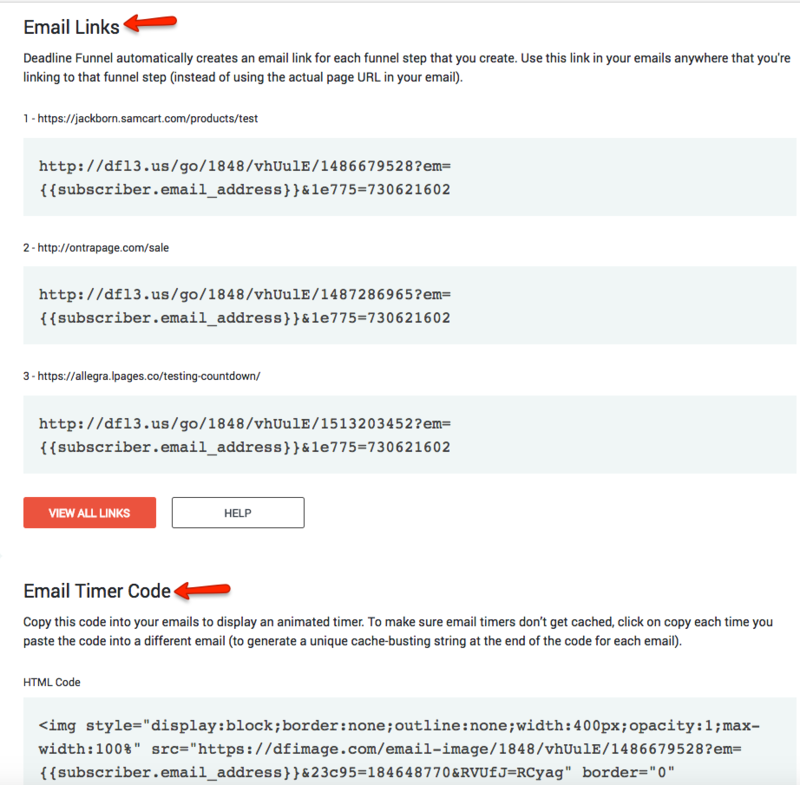 NOTE: To test this, clear your tracking and visit your email link, to check that you land on the 'before' URL you specified in your Deadline Funnel campaign.